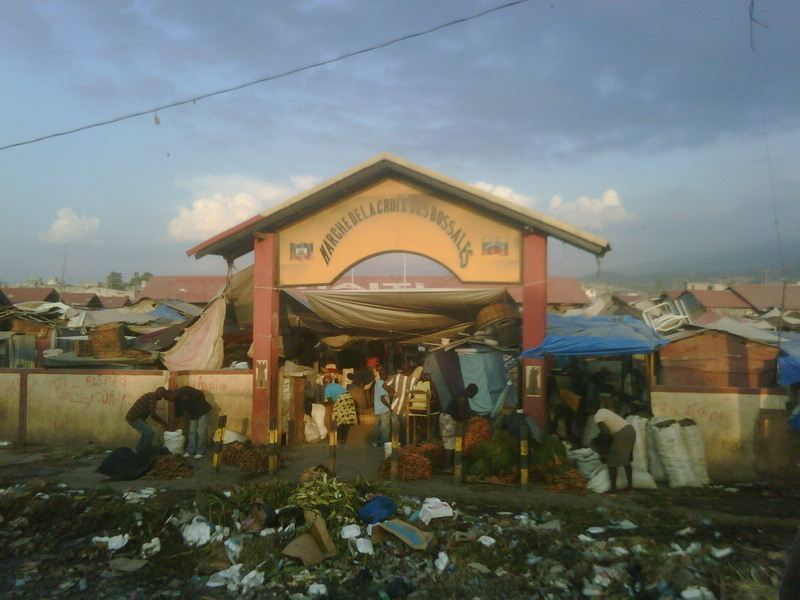 ...Downtown Port au Prince: Marche de la Croix des Bossales, May 8 2010. No regulation, few police, no army, no courts, no taxes, no import controls, no environmental laws, no labor laws, no consumer protection, no social security contributions, few public schools, no public hospitals still functioning, no public medical care, no parks, gov buildings mostly destroyed, no foreign exchange controls....and millions of people willing to work for nothing, and, indeed, sell themselves in slavery. Question: did the world's first slave revolt (in the 1790s) ) really succeed?